Real estate developers are rightly known to be some of the brightest and most creative marketing minds. Therefore a plethora of renowned Real estate developers have tightly latched on to the immensely holy and auspicious occasions of Gudi Padwa in Maharashtra, Ugadi in south India and Chaitra Navratri in north India amongst others, to extend freebies and spot discounts in addition to the usual deferred payment plans and other marketing schemes which have already been put in place to provide a much needed stimulus to boost sales. 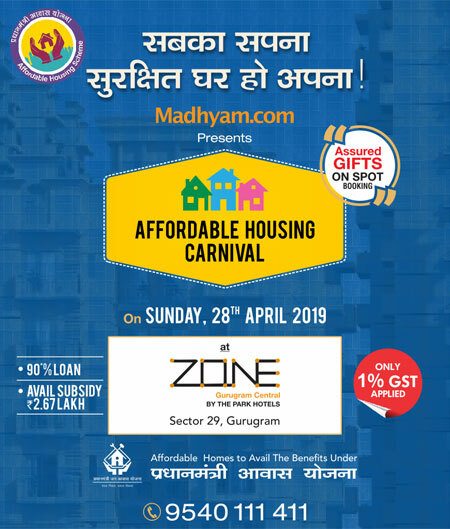 Avalon Group in Delhi and Richa Realtors in Mumbai are extending spot discounts of up to a whopping Rs 5 Lakh on some of their state of the art projects. While on the other hand, realty giants like Godrej Properties and Tata Housing Development Company, are focusing on the highly lucrative 30:70 payment plans to pull and attract buyers& investors to their projects in Mumbai and Bengaluru respectively. While Olympeo Infrastructure and Omkar Realtors & Developers of India’s financial capital Mumbai and Mahagun Group of Delhi-NCR are offering highly pure gold coins on every home purchases, Namma Bengaluru-based, Ozone developers are extending an immensely low down payment of just 10% for their Ozone Urbana in the IT city. But that’s not all. The well renowned Supertech is offering a 3 bedroom flat at a price of a 2-bedroom unit at few of its realty projects in the fast developing Greater Noida during the divine Navratras. The offers have arrived after home sales plunged by a staggering 17 per cent in India’s top six markets in the year 2014 and the unsold inventory level rose to a massive 647,484 units, thus leaving the real estate developers with a severe and not easy to get out of liquidity crunch. But realty sector experts rightly point out that this is a never before seen win-win situation for both buyers and developers. It is literally next to impossible for anyone to avail better & lower pricing levels than what exist today. To top it all up the home seekers are getting massive discounts and added freebies, which make it an icing on the cake. It is therefore an opportunity which people on a home hunting spree should absolutely not miss out on. Real estate Developers are also immensely upbeat about the sales prospects this festive season. Extending these highly lucrative offers is a great way to get rid of unsold inventory for developers. A plethora of prospective home buyers are tightly sitting on sidelines with huge chunk of funds and they require a trigger to finalize their decisions and purchase their dream home. So explore the showering discounts and offers this festive season and buy your dream home. Avail of these never heard of before and unmatched discounts today.